This is the inside wall of the block facade we had rebuilt in May. There have always been shelves there, but they were made from scrap wood and were, at best, 4 inches deep. After the wall was rebuilt and I was sure it could handle some weight, I asked Charlie to make some scrap wood shelves. 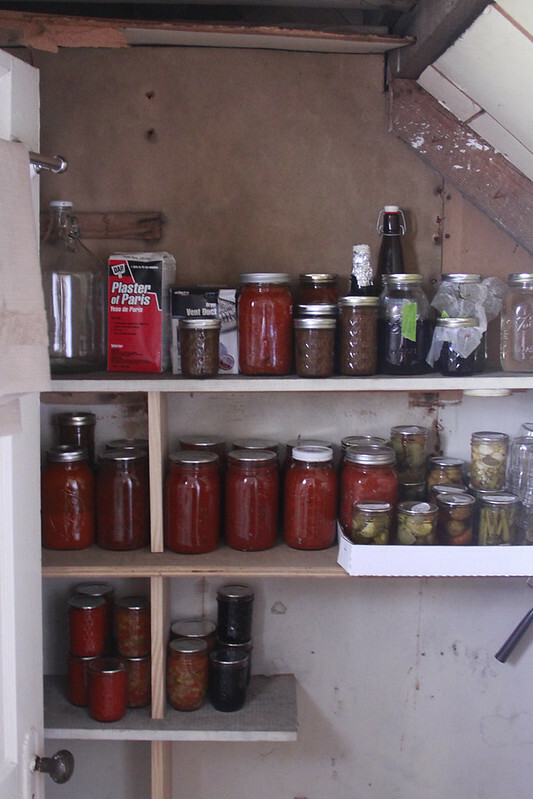 He used all materials he had on hand, and a few hours later I had shelves for all the canning I'd been doing. It's not pretty, but it works, plus there's something far more comforting about having endless quarts of tomato sauce and vegetable juice than having a designer pantry.